Many years ago I was studying a very intellectual book on spirituality that was very helpful to me, but I found dealing with some of the intellectual concepts and the style of writing rather distressing. I told God that if He was willing to give some material that was inspiring to people of the heart, I would volunteer to write it down. It was fifteen years before the material began to be given to me. It started out as daily inspirational paragraphs and later expanded to include longer messages in response to questions I had about spiritual matters. Dwell in Love was not written by me. I was only the scribe who recorded it. The messages encouraged me over and over again to share my experiences with other people. I hope that through these messages you will find your own path to the heart. 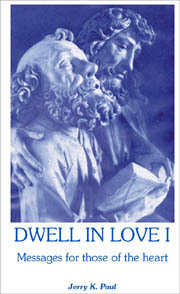 My purpose in setting up this website for the Dwell in Love books was to share with other people the messages I received from God and Jesus, as well as some of my experiences of communing with God. After publishing four paperback books, I decided to put all the material together into one volume and publish it as a more durable hardback book. I also decided to make the complete text of the one-volume edition available on this website. I hope that you will find it as helpful as I have. Should anyone visiting this website have any comments about the messages and the site, I would be very pleased to have them shared with me. Please Click here to send me an e-mail. Please click here to be connected with my blog which contains messages that were received after my last book was published. Become so empty of self that you identify with God, and His Light and Love, and allow Him to be what you are, coming to those in need of prayer -- joyous prayer -- cleansing them and burning the debris in Divine Love. Vacate your being of all sense of personal self and allow the Spirit of God within you to be all that you are. Allow yourself to be God embracing your brothers and sisters; in other words, become God with them, giving them the experience of a Love so total they are aware of nothing else. Click here to obtain a copy of the one-volume hardback edition or to read the text free of charge. USA Experience the Power of Spirit in the Dwell in Love series! 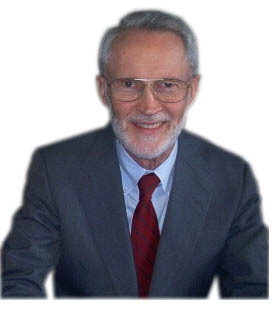 "As sequel to his stunning Dwell in Love: Messages for Those of the Heart, author Jerry K. Paul has performed a wonderful service for his readers: a genuine what-to, how-to guide, complete with an example of a way of praying. He provides tools for dealing with individuals, with world leaders, with world affairs, with earth changes-- in short, with everything-- by taking them to God. This is a short but powerful book-- another must-read for all who seek direct experience with the Creative Forces!" 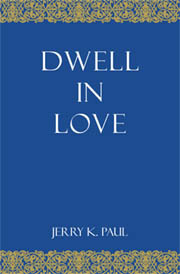 The fourth volume in the Dwell In Love series is now available! Click here for more information! "The discourses in this volume have opened up and deepened my sense of personal connection with Jesus in a way that no other publication has ever done for me. In some cases the material is astonishing, and in others comfortingly familiar, but always they carry that 'ring of truth' that awakens the soul to divine possibilities. The Master's imprint is surely on this book."